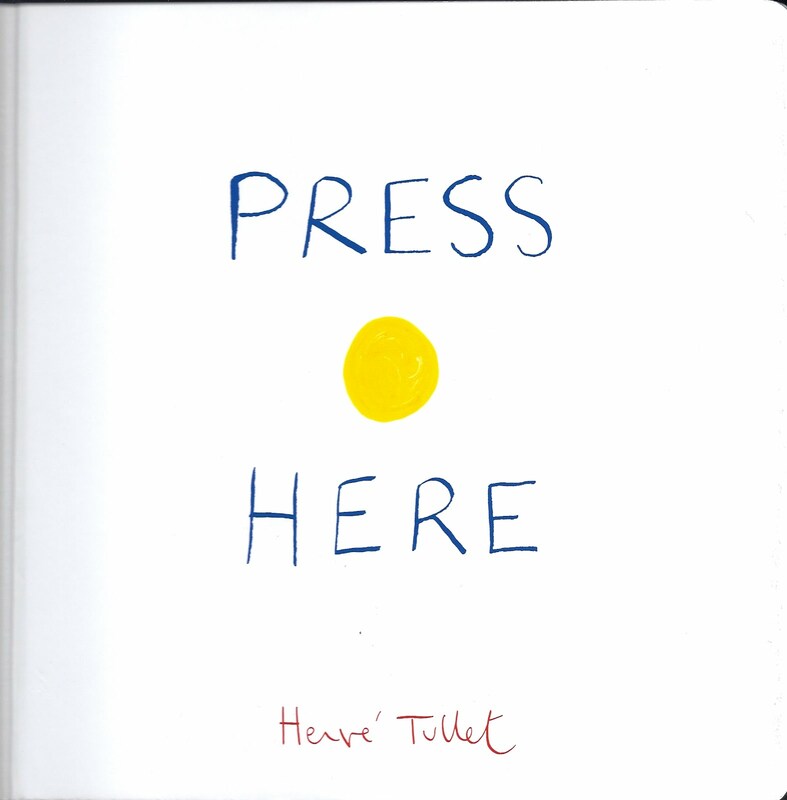 One of my favorite picture books published last year was, "Press Here," by Herve' Tullet. I was interested in this book because it fits nicely into my International Children's Literature course that I teach. 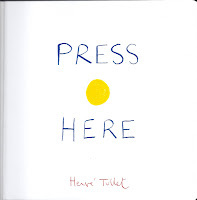 "Press Here" is from France and was originally published the previous year in that country. If you have not had the joy of experiencing this book, please do so. It is an interactive book that encourages the reader to press dots, clap, tilt the book and other physical actions. For years, many early childhood teachers and parents have enjoyed using the book, "Don't Let the Pigeon Drive the Bus," by Mo Willems, because it is so interactive for young children. "Press Here" is of the same caliber. I remember reading a research paper years ago which suggested that children don't always get a concrete learning experiences from books read to them without interaction. The key is to make the story comprehensive by asking questions, discussing pictures or talking about the story characters. This is important to do with children, but I really love books that naturally allow the child to become part of the story. Pick up "Press Here." You will love it.